Do You Need Death Insurance? Many people choose to purchase a life insurance policy to provide the funds needed to pay for their final expenses, including the cost of their funeral and burial expenses. There are guaranteed issue policies available for people ages 45 to 85 that guaranteed your approval for a death (life) insurance policy. Even if you have health problems, or you have been denied coverage by other insurers, you can get insured. Request a free life insurance quote. If you need death insurance to provide for more than your final expenses; such as, to provide financial security for your family’s future, pay off the home mortgage loan, replace your income, provide for your child’s college education, and help your family maintain their lifestyle should you die, then there are some things you’ll want to consider before making your purchase. Death insurance, also known as life insurance, provides a death benefit to your beneficiary upon your death. You select the person(s) who receive the proceeds from your insurance policy. 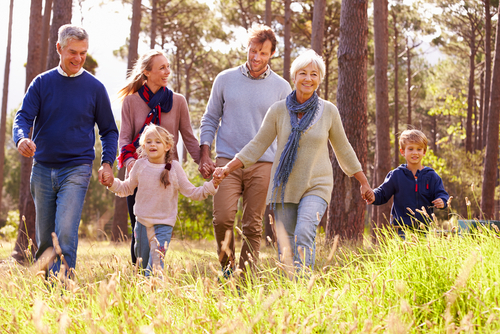 Life (death) insurance provides financial security for your loved ones, and peace of mind for you. What goal do you want your life insurance to accomplish? What can you afford to spend on your insurance? How many years do you need your coverage to last? There are two basic types of life insurance policies: Term and Permanent. Term Life Insurance: Term insurance is temporary coverage lasting for a specific period of time. Usually, you may choose term life policies with a duration of 10, 15, 20 or 30 years. With level term life you pay the same premiums each year for the "term" of your policy. Permanent Life Insurance: Permanent life provides coverage that will last your entire lifetime. Your insurance will build some cash value inside the policy, from which you may take a loan, if needed. Your premiums remain level for the life of your policy. Final Expense Insurance: Also, known as funeral insurance or burial insurance, these plans offer a limited amount of life insurance with guaranteed approval for seniors age 45 to 85. The amount of insurance you need to protect your loved ones will depend on several factors, including your income, savings, debt, future goals, your monthly living expenses, and the size of your family, among other things. It is recommended to use a life insurance need calculator to assist you in deciding how much life insurance you really need, so you have the appropriate amount of protection to meet your family’s needs. If you have a pre-existing health condition you may find it difficult to get insured at an affordable premium. That’s why it’s important to work with a reputable and experienced life insurance broker to assist you in finding the best policy at the most affordable price, from a highly-rated life insurance company. Don’t worry. Even if you have been denied coverage form other insurers, there are life insurance plans available with guaranteed acceptance if you meet the age requirements for approval. Do You Death Insurance for Your Spouse or Partner, Too? Since you’re shopping for a life insurance policy on yourself, you may want to consider getting coverage for your partner or spouse, too. If you or your family rely on both incomes, or would suffer financially should your spouse pass away, then it may be a good idea to get life insurance on your spouse now, instead of putting it off. Do You Want to Buy Death Insurance without Taking any Health Exam? Yes, there are policies available that do not require you to take an exam. Usually, these are available for healthy individuals between the ages of 18 to 60. One highly rated insurer offers up to $2,000,000 of affordable term life insurance coverage without an exam, for qualified applicants. Do You Want to Buy Death Insurance without Having to Answer Any Health Questions? There are life insurance policies you may purchase that offer coverage with no doctor exam and no questions asked about your health. Applicants age 60-64 are eligible to apply for up to $1 million in coverage; subject to underwriting approval. Some qualified applicants (U.S. citizens up to the age of 59) will be able to finalize coverage without the need for a medical exam. The majority of applicants are still required to take a medical exam. Keep in mind: Issuance of the policy or payment of benefits may depend upon the answers given in the application and the truthfulness thereof.